The classic showdown between cats and dogs with an unexpected cops and robbers twist. Will the cunning and cheeky Cat Burglar help you get away with the loot, or will the Doggy Coppers sniff you out before you can make your get away. Spin the reels and you’ll be sure to see some eye catching loot from a bejeweled dog bone to the Diamond Wild. Keep an eye out of the coppers hat and the keys to the bank too, you never know what might come in handy (or should we say clawsy)! 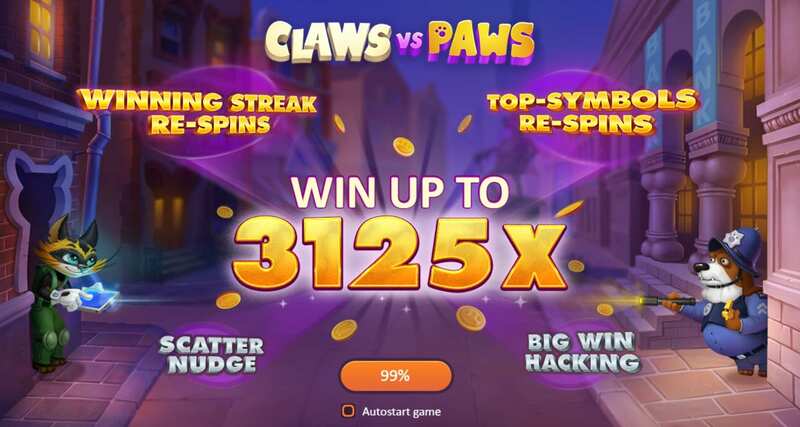 With a whole vault full of bonus games, free spins and cash prizes you will have your claws filled with this cheeky slot game. Find online video slots here now on Wizard Slots. Playson are a relatively new comer to the online slot gaming industry, but that sure isn’t stopping them from making a huge impact. The main focus of their online slot games is their graphics and story concept, hitting out game after game with exciting and innovative gameplay, now totaling over 40 online games. With so much potential Payson are an exciting company to keep an eye on. Wizard offers more games by them! 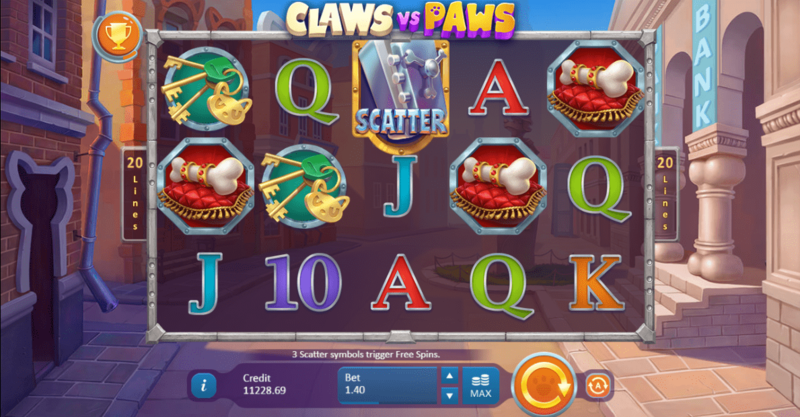 With five reels and 20 payline this online video slot game has tons of goodies up for grabs if you can get your claws on them quick enough. So if you want to get your paws dirty then read on for the gameplay rules. Looking for more games? Check our guide for the best slot games to play with excellent bonus features. ● This game has not one, but four different Scatters. If 2 normal Scatter symbols plus a Special Scatter appear one of the Free Spin modes will be triggered. ● The normal Scatter symbol is the Vault which will appear on the first and third reels. ● The next three are the Special Scatters, these are the Cat Burglar in bronze, silver and gold. They will appear on the fifth reel. ● Big Win Hacking - If the Cat Burglar appears she will bring in the catnip by changing the landed symbols to form a winning combination. ● Scatter Nudge - The Cat Burglar might even nudge the reel and pull up a third Scatter symbol to trigger the Free Spins round.